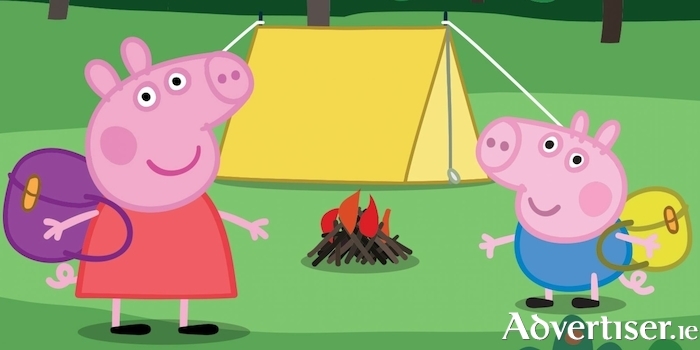 Peppa is going on an exciting camping trip to the woods with George, Pedro Pony, Suzy Sheep, and Gerald Giraffe. With lunch-boxes packed and Daddy Pig driving the bus, Peppa and friends are excited about their outdoor adventure, with games, laughter, and live music! They are also excited to get up to some mischief. It has been raining, which means muddy puddles to play in. Tickets are €20/16 and €65 (family of four ) and are available from the Town Hall Theatre (091 - 569777, www.tht.ie ).